AZ-SEN: Orrin Hatch is apologizing for criticizing John McCain’s reported wish that Trump not attend his funeral. Jan Brewer endorsed Martha McSally. FL-GOV: Philip Levine has spent a ton of money already in the governor’s race. So why isn’t he doing better? GA: The Atlanta Journal-Constitution reports that the Georgia Secretary of State’s office is launching an investigation into potential voting problems in the Atlanta mayor’s race in December. MS-SEN: A fellow Democrat’s decision to drop out means the path for Mike Espy has gotten a bit easier. MT-SEN: Mike Flynn called into a Montana radio station to boost Senate hopeful Trey Downing. 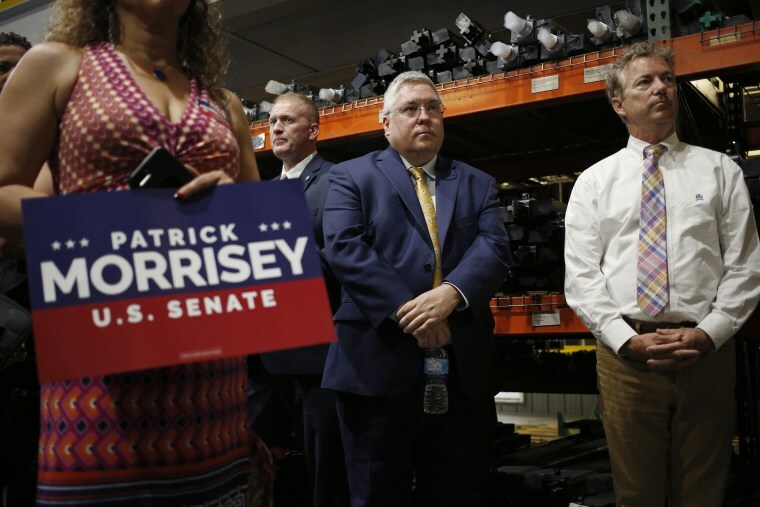 WV-SEN: Alex Seitz-Wald wraps the GOP primary – and Blankenship’s concession. Here’s our team’s look at Trump’s official announcement of withdrawal from the Iran nuclear deal. Andrea Mitchell writes that Trump kept his promise on Iran. But was it the right promise? Key U.S. allies say they’ll try to salvage the deal even if Trump is pulling the U.S. out of it. The Washington Post looks at how the move could make it easier for Iran to develop a bomb in secret. The New York Times writes that, no longer held back by his advisers, Trump is trying to put his imprint on foreign policy. And Mike Pompeo is on a surprise visit to North Korea.